Fly in for Cosmetic Surgery! There's no place better than Scottsdale! Fly in for Cosmetic Surgery! 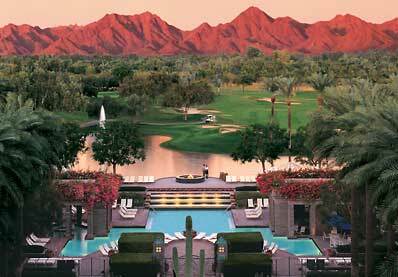 Theres no place better than Scottsdale! Dr. Corey and his team believe that your geographical area shouldn't limit you to receiving the best care... so why not experience the best and come on out to Scottsdale for your cosmetic procedure? Due to our amazing surgical results and vast array of clients who have spread the message about how happy they are with their results from Dr. Corey, patients are now coming in from all over the globe. From local cities, different states, even from other countries! We have designed this page to help make your visit to our office as easy, convenient and comfortable as possible. We all know how great it would be to just “go on vacation” only to come back looking brand new, so our staff goes above and beyond to be your personal travel consultants and welcome committee. From booking your appointments on convenient back to back days, providing virtual consultations (if need be), and even by giving your accompanied guest a list of great activities, we truly have every aspect covered. There’s no better place than Scottsdale, Arizona to get your cosmetic procedure done. With a vast array of restaurants, swanky shops, great golfing, mild climate and of course, Dr. Corey’s practice, you really can’t go wrong. Request a Virtual Consultation Online or call our office at 480-767-7700 to learn more about how you can prepare for cosmetic surgery with us. Our courteous staff is happy to help you through each step of your transformational journey – whether it be arranging transportation from the airport or assisting you with accommodations at one of Arizona’s premier hotels. Our goal is to ensure that you have a positive experience with us from start to finish - whether you're visiting us from across the world for plastic surgery, or simply traveling from a nearby area. Dr. Corey’s office is conveniently located at 92nd Street and Shea, just 15 minutes from the Phoenix Sky Harbor International Airport. If you are traveling on private airlines, Scottsdale Airport is just minutes from our office. Whatever airport is most convenient, our staff would be glad to help arrange transportation to our office. Southwest Airlines has direct daily flights to over 105 cities across the US. What will my Husband do? We also have a plethora of activities for your husband/guest to do while you are here. It’s a win-win for everyone involved! We have a range of attractive local hotels and appealing restaurants.